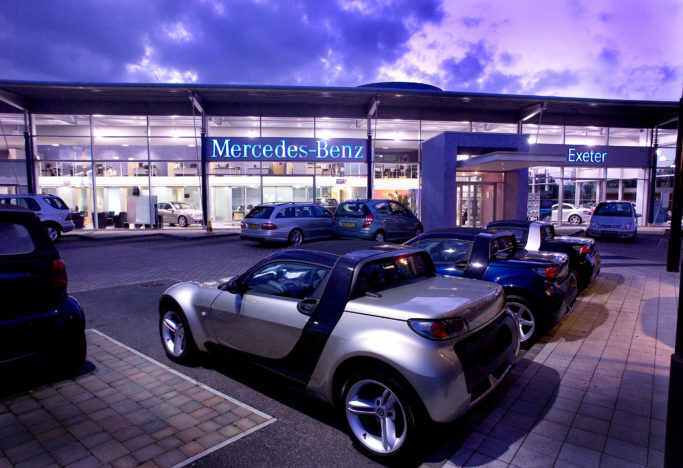 Since 2001 DKA have worked with Mercedes-Benz South West to develop a franchise of dealerships, after sales centres and used car facilities. 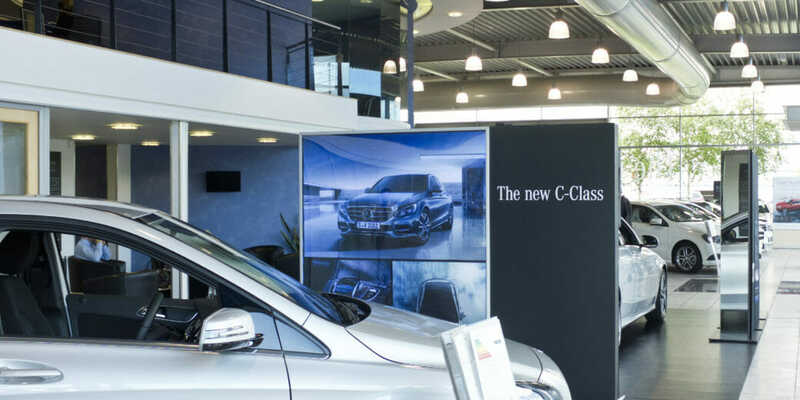 Having completed a build programme of four new dealerships, we have helped the business adapt and grow; maximising the efficiency of their sites and designing supporting sites local to the dealerships to help with the pressures of car storage, parts distribution and workshop space. We have also returned to each dealership to integrate new corporate styling, new workplace layouts and retail initiatives. The buildings have proved to be flexible to the changing needs of a competitive and image-focused market. 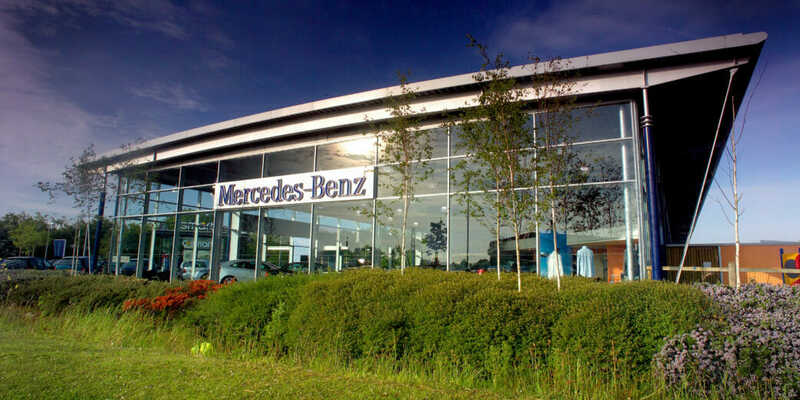 The first of the dealerships was at Marsh Barton in Exeter and was in the vanguard of new Mercedes-Benz corporate architecture. This was to act as the hub for the region and included a separate Smart pavilion. The 2,500 sqm building comprised a 17-car showroom, offices, workshop, parts department and body shop. The project was named ‘Building of the Year’ by the 2002 Commercial Property Awards. The second site was in Taunton, on a wedge of land between Tone Way and the MOD Hydrographic Office. 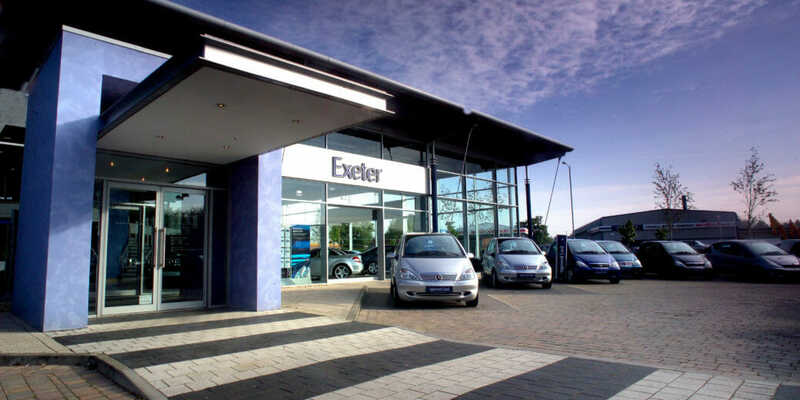 This site presented greater challenges, but being a smaller dealership, we were able to create a totally different form and structural system to Exeter whilst giving the two a familiar experience for customers. The site had to respect a public footpath to the rear and include an attenuation pond around which the display parking areas were arranged. 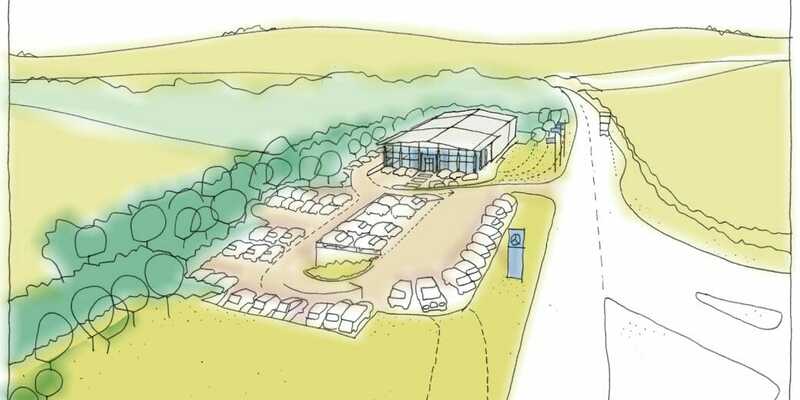 Plymouth and Truro dealerships followed, the latter being a conversion and extension to an existing industrial unit. With all the sites, DKA led the design team and coordinated the specialist suppliers for workshop equipment, external signage, branded fittings and loose furniture. 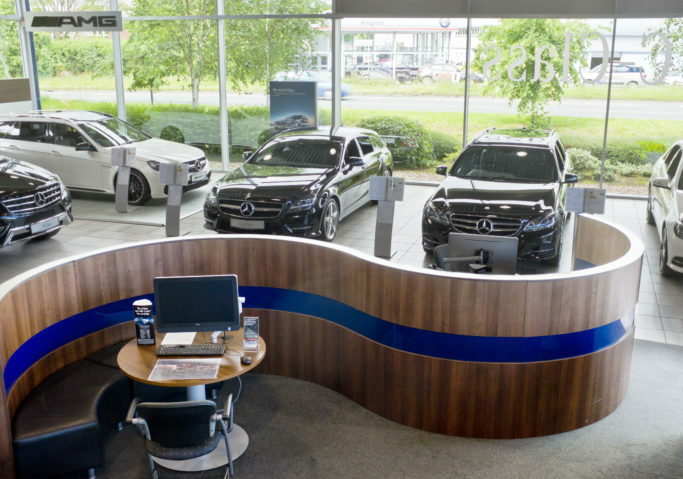 After each dealership had been in use for 10 years, Mercedes-Benz launched a new customer directive called ‘My Service’ which was designed to give a more personalised approach to aftercare and make the showrooms places to work and enjoy whilst your car was being serviced. 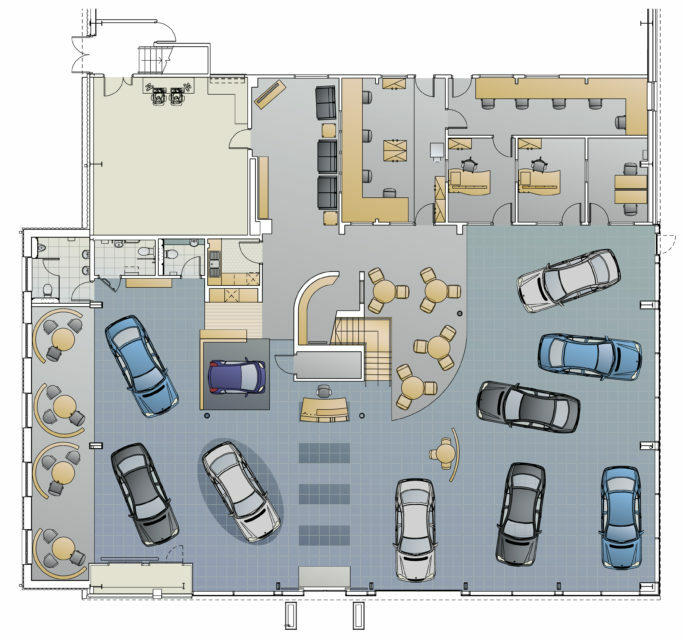 This was not simply better Wi-Fi and coffee; the spaces had to be expanded (within the building footprint) and the operations of the dealership had to be challenged. 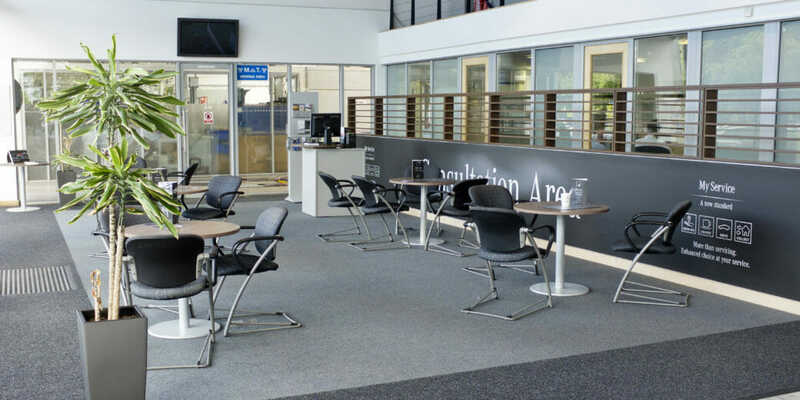 Sales teams were moved off the showroom to the mezzanine floor (at Truro we had to create one) and the customer areas were expanded and refreshed. We helped design bespoke sales pods to give comfort and privacy. 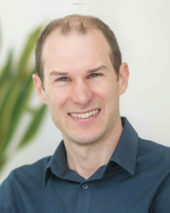 Quiet ‘Business Zones’ were created and externally, the forecourts were re-planned to include dedicated ‘My Service’ bays and number plate recognition cameras. Having booked online, when the customer arrived at the new host point their arrival was not just anticipated, they were greeted by name. Supporting the customer facing dealerships run efficiently, satellite facilities are required to make the whole operation run smoothly. 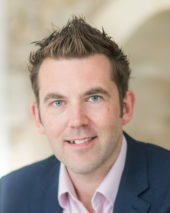 We have helped the MB SW business develop offsite facilities at Exeter, Taunton and Plymouth. 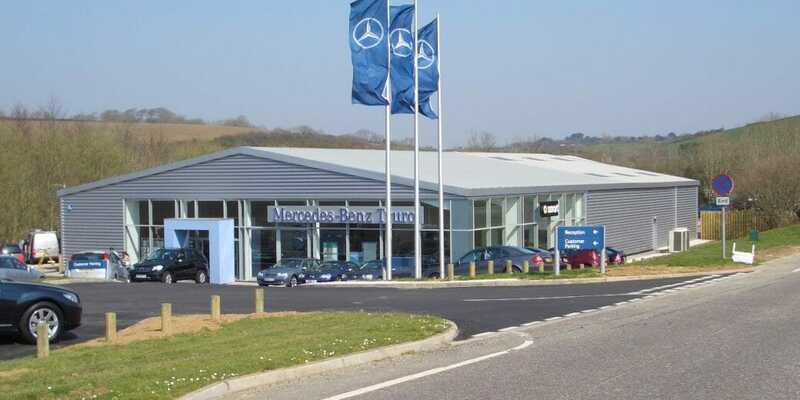 In Exeter and Plymouth, we converted nearby industrial units into van service centres with workshops, MOT bays, parts storage and a small front-of-house area that displays the Mercedes-Benz branding. At Taunton and Truro, we helped incorporate the client’s requirements into new build offsite service centres that were built by developers. We helped ensure the necessary power, data, signage and corporate identity was included in the base build – and coordinated with the developer’s design team.